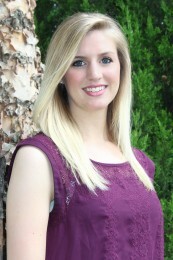 Brittany Beneke served as an intern for the institute during the fall 2015 and spring 2016 semesters. She graduated from K-State in May 2016 with a bachelor’s degree in family studies and human services, a minor in conflict analysis and trauma studies, as well as a certificate in conflict resolution. She is from Salina, Kansas. Beneke has been a volunteer for Kansas: Operation Military Kids, or OMK, since summer 2013, and began serving as an AmeriCorps VISTA member in July 2015. Through this role, she worked with Joining Community Forces and the Kansas National Guard, as well as continuing to work with OMK and the Institute. 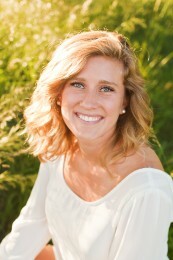 She is pursuing a master’s in degree social work at the University of Kansas. Emily Betthauser served as an intern for the institute during the fall 2015 and spring 2016 semesters. She graduated in May 2016 with a bachelor’s degree in family studies and human services, and a minor in conflict analysis and trauma studies. She is originally from Gardner, Kansas. In addition to the institute internship, Betthauser worked as an AmeriCorps VISTA member for the Kansas National Guard on the Joining Community Forces initiative. She plans to work alongside military families in the future focusing on transition periods, post-traumatic stress disorder and other challenges that come along with reintegration and the military lifestyle.